Arev Miller began her involvement with Komen Central Indiana four years ago by helping at a water table and packet pick-up for the Indianapolis Race for the Cure. For the past two years, she has been a member of the Executive Race Committee. Arev has also volunteered at the Susan G. Komen Tissue Bank at Simon Cancer Center as a surgery assistant. Arev has seen firsthand the effects breast cancer has on women. Not only has she worked in an OBGYN office, but Arev’s great aunt is a breast cancer survivor. 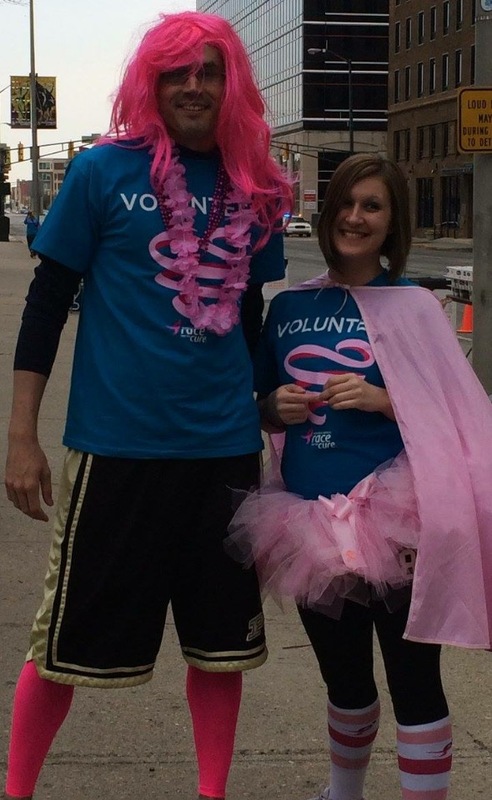 With these experiences, she realized she wanted to do more than just walk for the cause, she wanted to be a part of the big picture and become an advocate for the work Komen Central Indiana does in the fight against breast cancer. She has also been involved with Project Pink, where she helps set up and clean up the event and lends her help with merchandise. On Race day Arev helps plan and set up tables for Komen swag for the survivors and thrivers in Hope Village. She also answers questions, hands out swag, directs people, and makes sure there is a good flow of people in and out of the tent. With guidance from the Race director, Arev also works on the logistics of where people should gather for the Pink Parade. Another part of Arev’s involvement with Komen Central Indiana is recruiting volunteers. She encourages friends and co-workers to join her on Race day to lend a helping hand. Her recruits hand out swag, direct people, hand out water, and cheer on participants. Lending a smile or an ear to those who choose to share their breast cancer journey is a favorite part of Arev’s volunteer experience! Arev’s favorite projects to help with are Race for the Cure, Project Pink and the Komen Tissue Bank! She says she continues to be involved because of the amazing people she gets to meet throughout her volunteer time. Every year at Race for the Cure, Arev says emotions run high when she listens to women talk about their breast cancer journeys, and that’s one thing that continues to fuel her passion for the cause.